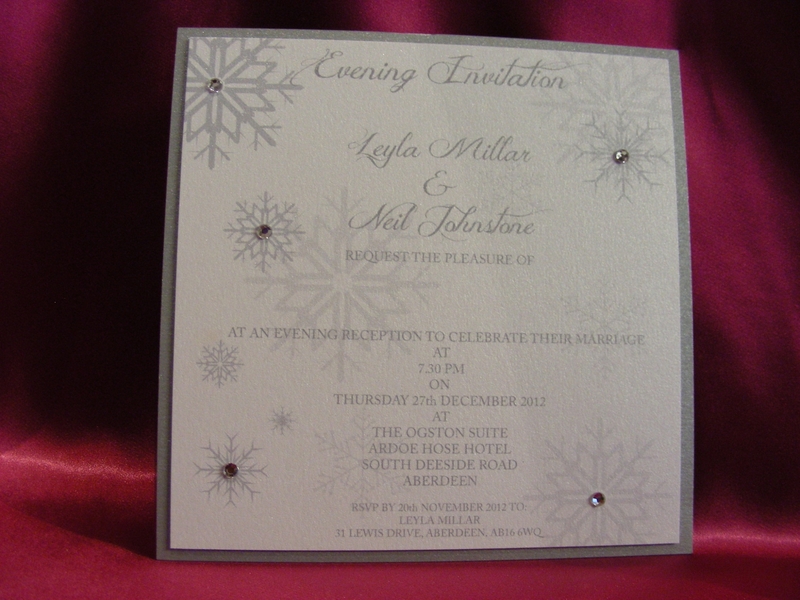 This fantastic card is perfect for any winter or Christmas wedding. It can be made with or without the crystal snowflake, with the snowflake it would come presented in a 6" square box and not an envelope. This card colour can also change to suit your requirements. The daytime invitation comes complete with inside pocket for all your RSVP, Guest Information cards etc. 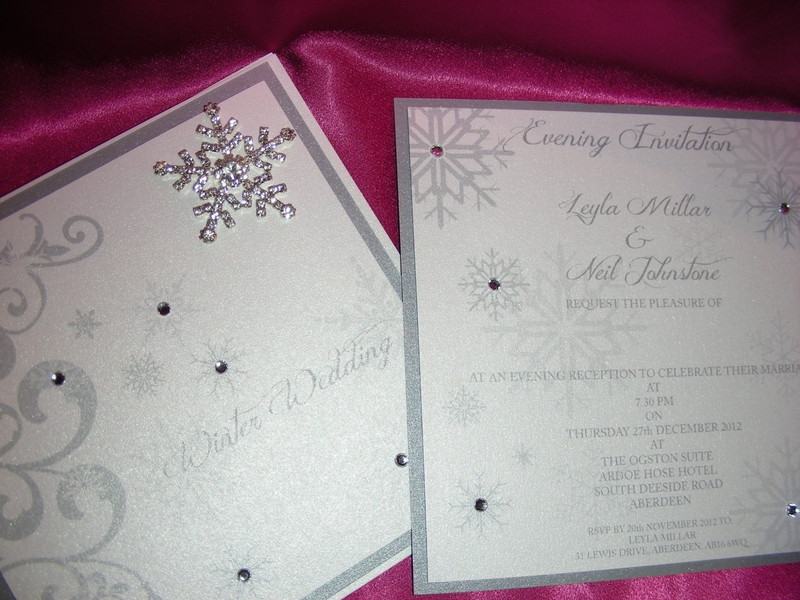 This stunning winter wedding stationery range is gorgeous! The fantastic crystal snowflake is so sparkly and bright. 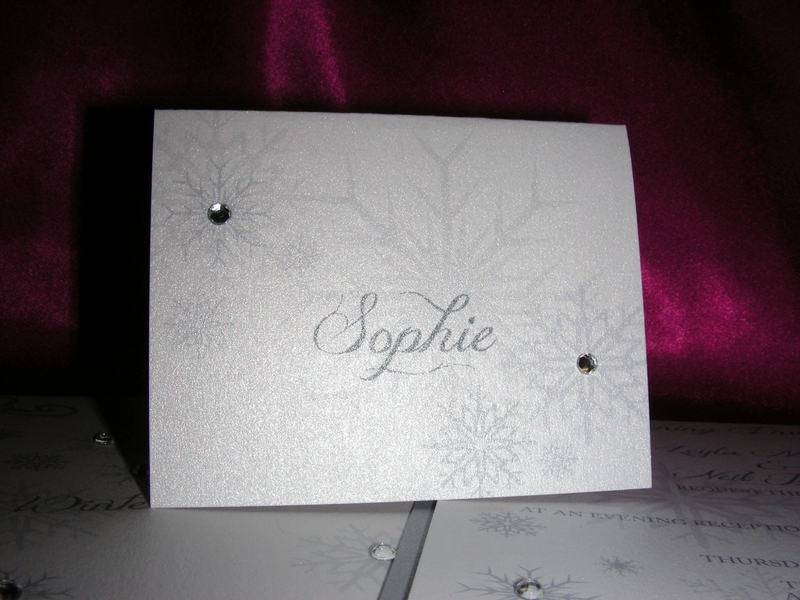 The card is made with high quality card stock in iced silver with silver coloured font. The snowflakes on the front are embellished with small Swarovski crystals and finished the over all look. 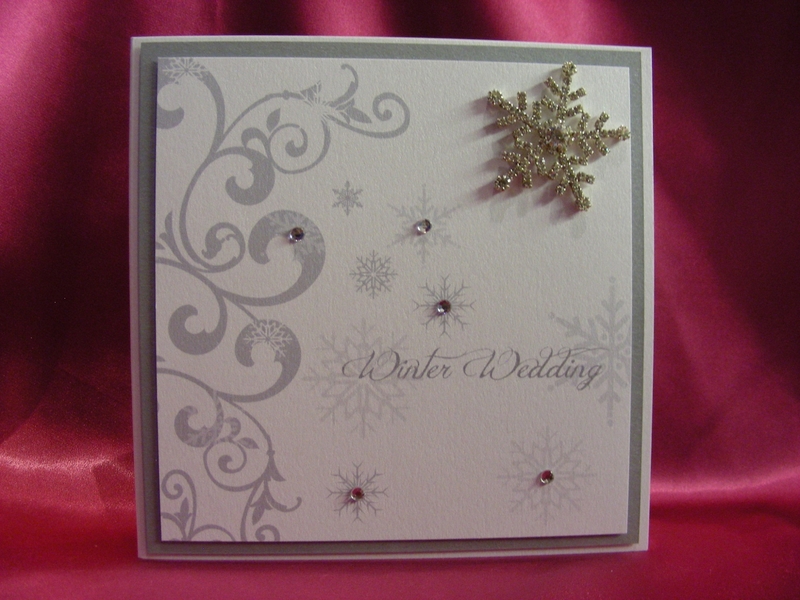 This card looks just as lovely without the large crystal snowflake embellishment. 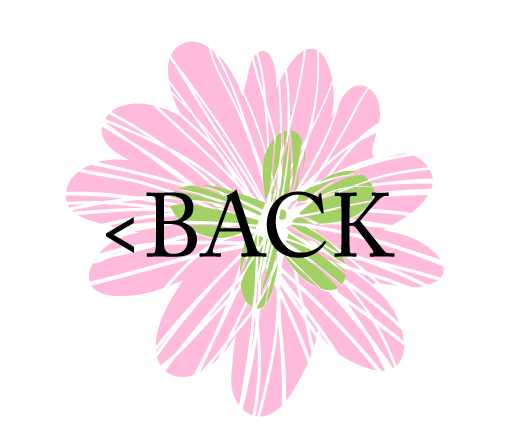 Because of the theme of this card it would look lovely in blue, gold or black . An ideal Winter Wedding Stationery range.